All Natural Canvas Cotton construction. Stone washed and lined inside. Outside zipper pocket and top zipper closure. Size: 8″ WIDE, 5″ TALL AND 3/4″ DEEP. Fit all models of Smartphone available today. Also essentials like your Credit cards, Keys, Sunglasses and more. 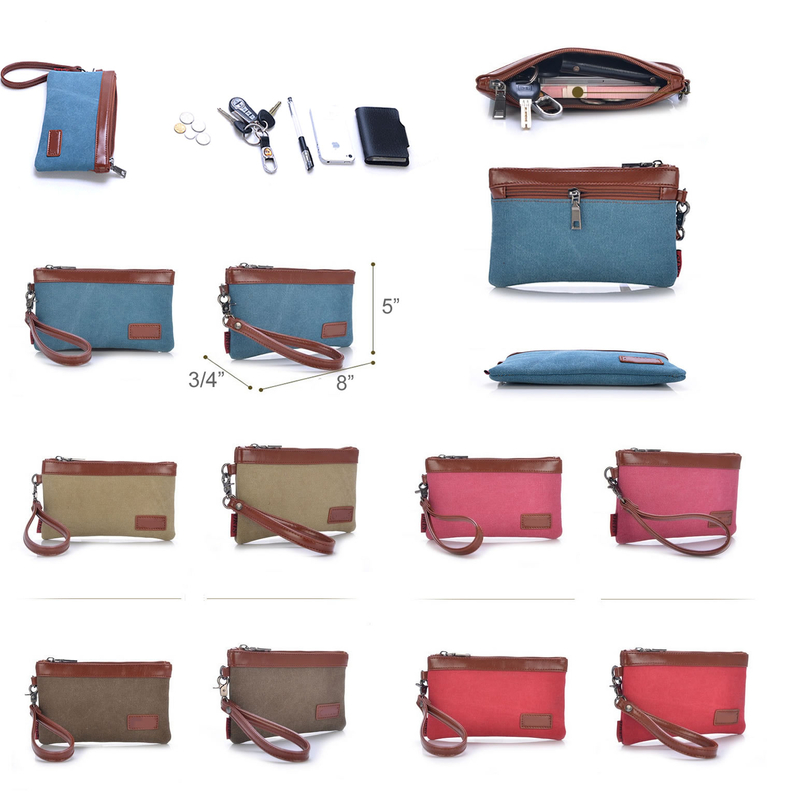 They come in subtle and vibrant colors like: AQUA BLUE, SAND BEIGE, CAMEL BROWN, FUCHSIA PINK AND CORAL RED. It’s a clutch no it’s a wristlet no wait, It’s both. Wear it This way or That way any which way is your way to have This & That and have it ALL. 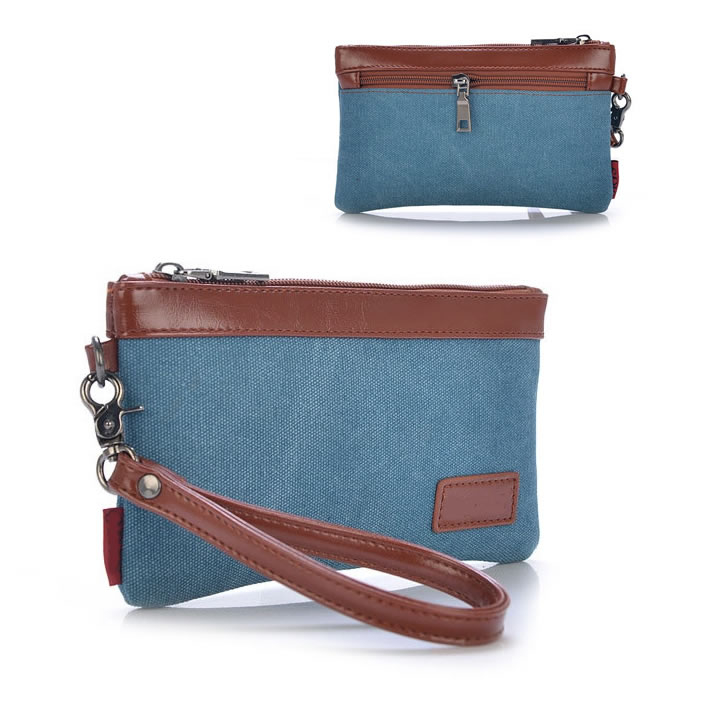 Carry it without the wristlet and embrace your arm around it like your best buddy or attach the wristlet and let it hang around the wrist for a hands free, free spirited look.